The apartment complex is quite small but very nice, the rooms were very clean and bright with good facilities a kettle and microwave. The layout of apartment was very nice and airy the weather during the day was great but it got cold at night so the air conditioning/heating was great for 1 euro an hour , it took the chill out of the room at night. 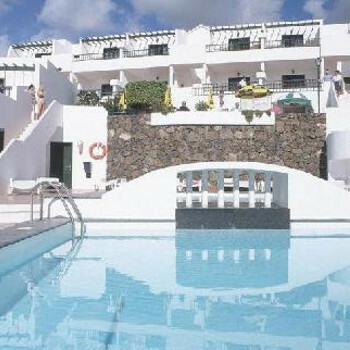 The pool bar was great with lovely breakfasts and lunch time salads our only complaint is they ran out of magners only kidding we went onto beer then. The couple who run the bar are really nice and friendly but could do with purchasing a few more tables and chairs as it got full at lunchtime and early evening. Overall the complex is well looked after, clean and well maintained. Very clean well equipped apartments. Maid service every day except Sunday, towel change every second day. Pool cleaned every day except Sunday. Alex on reception is the best most helpful and hospitable person on the entire island and his wife Ana who runs the small bar/cafe is just like Alex. Food always perfect - just snacks. No entertainment but this is not a problem as apts are just a short walk from the commercial centre and avenida with many pubs and restaurants. Those who want more night life can take a short taxi journey to Puerto del Carmen. This was our second visit to Villa Canaima and we would return.